Electronic Medical Records. No need to look for a missing charts !! Amazing Pediatrics is 100% committed to the health and well being of your child and every child we care for. As a trusted Tucker Pediatrician, we dedicate ourselves to the healthy development of children from infancy through adulthood. We are conveniently located centrally in Metro Atlanta within the Montreal Medical Center in Tucker, GA.
We believe that through developing a strong relationship between parent, patient and pediatrician, we will be able to offer the very best pediatric care for your child. As a part of our services, we focus on parent education and empowerment. At Amazing Pediatrics, our staff strongly believes in comprehensive pediatric care and works hard to stay informed about all advances in pediatric medicine and procedures. Dr. Butler - Rice is a member of the American Academy of Pediatrics, the American Medical Association and the Georgia Medical Society. We promote lifelong health and wellness! 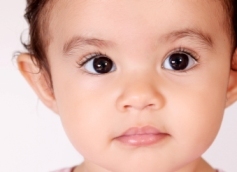 When you need a pediatrician in Tucker, GA, contact us.